The AVC App - Download The Australian Venue Co. App Now! Paying for food and drinks at your local has never been easier. 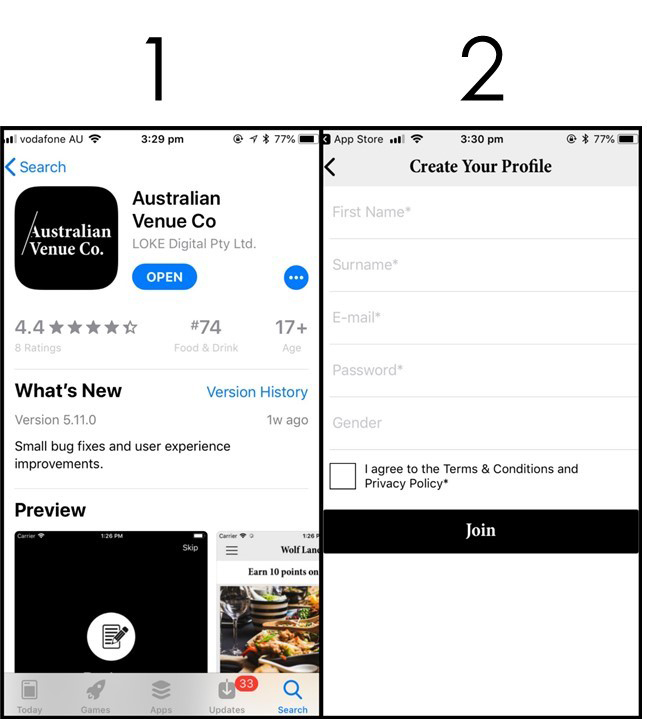 The Australian Venue Co. app allows you to pay with your phone, earn reward points and claim exclusive offers at more than 60 venues throughout Australia. Now that mate who always ‘forgets their wallet’ has no excuse. Just for signing up, we’re giving you a $10 credit. Winning. No more fumbling your wallet at the bar, simply order your food and drinks, show the bartender your number and you’re good to go. For every $1 spent you earn 10 points. Turn your points into credit, 2000pts=$20. Score. What venues can I use the app with? 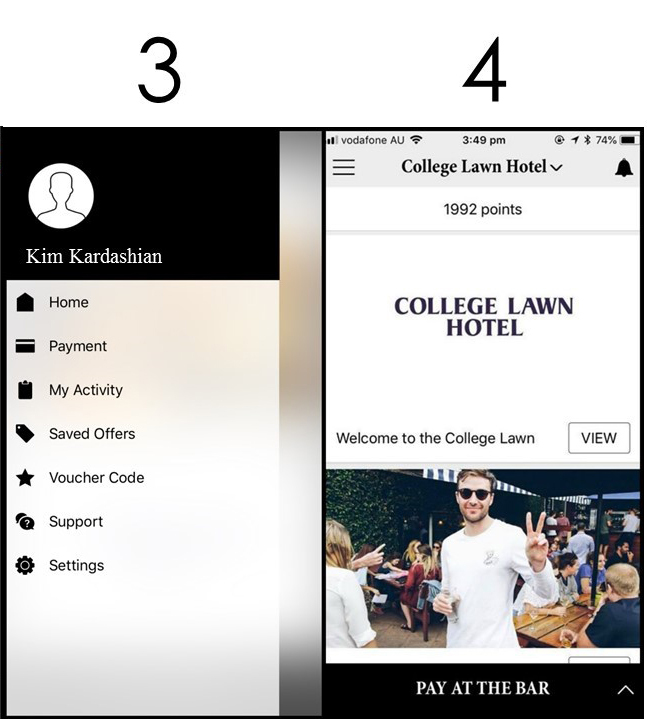 The app can be used at over 55 pubs, restaurants and bars throughout Australia. Please note: the app cannot be used at The Park or River’s Edge event space venues. Once you start spending you’ll receive emails with special offers from your favourite venues. Enter the unique voucher code into the app and claim your personalised reward next time you visit.